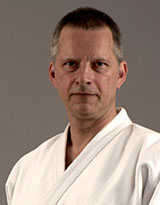 I'm a Swedish author and aikido instructor, 7 dan Aikikai Shihan, former President of the Swedish Budo & Martial Arts Federation and Vice Chairman of the International Aikido Federation. I've practiced aikido since 1972. I also teach the sword art iaido. In addition to fiction, I've written books about aikido and other Asian traditions. Basic Concepts of the Peaceful Martial Art, by Stefan Stenudd. 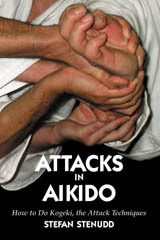 Aikido principles, philosophy, and basic ideas. How to do kogeki, the attack techniques, by Stefan Stenudd. All the attack techniques in aikido explained, and how to do them correctly. by Stefan Stenudd. 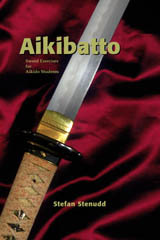 The aikibatto sword and staff exercises for aikido students explained, with practical and spiritual aspects of the sword arts, equipment for training, and more. 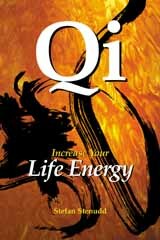 The life energy qi (also chi or ki) explained, with several very easy exercises to awaken, increase, and use it, by Stefan Stenudd. The Taoism of Lao Tzu Explained. The great Chinese classic, translated and extensively commented by Stefan Stenudd. Budo is the name for the Japanese martial arts, such as aikido, judo, karatedo, kendo, iaido, jodo, kyudo, and many others. The name consists of two parts: bu is martial and do is the Way, the idea of cultivating something for personal growth through life. Budo is a lifetime practice for self-refinement. On the menu to the left, as well as below, you find a number of links to budo websites and webpages. Most of them are to aikido related material, since that's the budo I practice the most. Eventually, I will expand the links and the material on this website to include more about budo in general. Several of the links are to websites in Sweden, since that's where I live and practice mainly. They are in Swedish, of course. Sorry about that, if it's not a tongue you're familiar with. Aikido is the peaceful martial art, without competition and without attack techniques. It's all about joining. Above is a video we made at my dojo with the aikido technique kotegaeshi against various knife attacks. Of course, that's not easy to do in a safe way, and I do it rather slowly for clarity. But you might get an idea about what aikido looks like, if you haven't seen it before. Usually, aikido is practiced against unarmed attacks, though. In budo, learning to use one's life energy (ki in Japanese, qi in Chinese) is fundamental. Ki, the breath of life can be stimulated to increase. Thereby the life energy rises to something far more than the mere consumption of oxygen, and extends way beyond the reach of our bodies. You will definitely feel the difference. You don't have to believe in ki energy to try it. Keep an open but also critical mind, and make your decision afterwards. Life is a wondrous mystery. What brightens it up is precious, whether it can be seen in a microscope or not. So, give it a chance if you're the least bit curious about what has kept the idea of a life energy present in human minds through thousands of years and in many other cultures than that of Japan. Taoism is the ancient Chinese philosophy based on the concept Tao (Do in Japanese), the Way. It's also essential in the practice of budo, which is regarded as the way by which to refine oneself through the experience of life. The major source to Taoism is Tao Te Ching, the classic text by Lao Tzu that is more than two thousand years old. It explains how the world is governed by the gentle principle of Tao, and how we humans should act in order to adapt to it. Here is my website about Taoism. 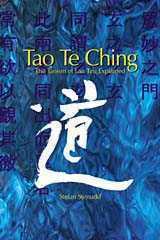 It presents Tao principles and the two major Taoist authors: Lao Tzu and Chuang Tzu. The website also contains my own translation of the Tao Te Ching in its entirety, with explanations and comments on every chapter of it. 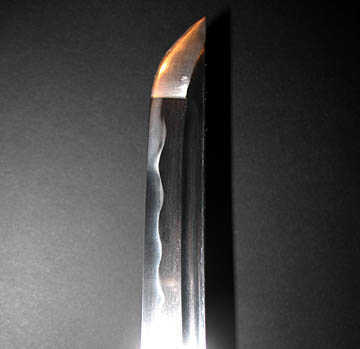 Of particular interest to budo are the Tao Te Ching sayings about the way of the warrior, which are collected at the second link below.